With the hike in fuel price, incomprehensibly high foreign exchange rate and the cost of cooking ingredients in Nigeria at the moment. A lot of people are shying away from the mere thoughts of having any form of celebration, throwing parties or planning a trip to any exotic location outside the country but as it often rightly said “black don’t crack”. So I implore you to make the most of these situations, albeit how negative they may seem, to explore the beauty and hidden resources of Nigeria. 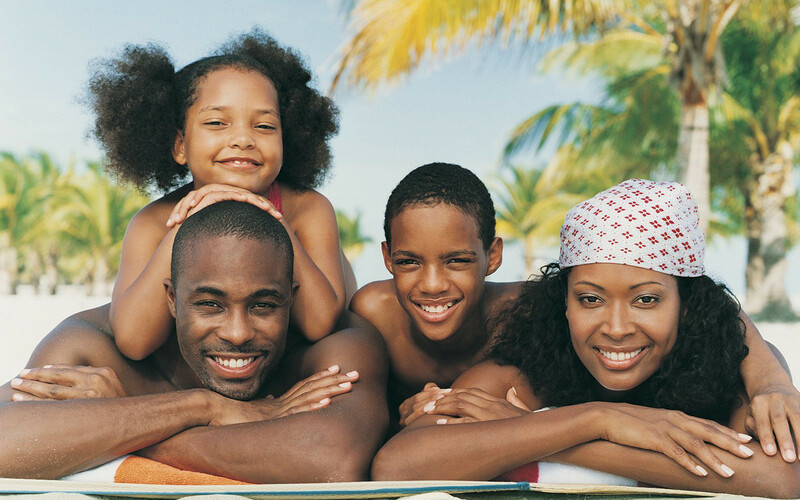 Take some time out with family members and friends, stick to visiting some of the best resorts in Lagos and taking a well-deserved weekend treat at some of the hidden beauties in Nigeria, rather than splurging on a vacation outside the country. 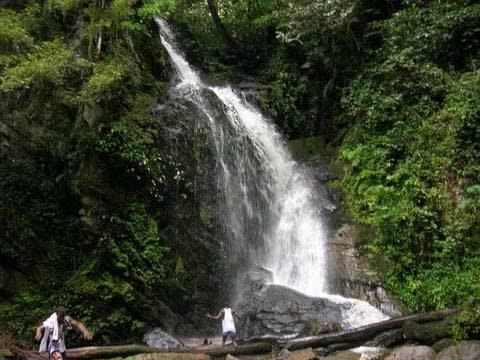 Erin Ijesha waterfalls also known as Olumirin waterfalls is a scenic natural sauna located in Ijesha, Osun State. The seven step waterfall layer offers an awe striking view of nature with each layer featuring its own flowing fountain.Enjoy the mystical beauty of Erin Ijesha Waterfall with your family and friends on your next vacation. Ikogosi Warm Spring is one of the major tourist attractions in Nigeria. It is a natural wonder of a pure warm water spring that flows side by side with a cold spring. There is a local myth surrounding the history of the spring. An interesting version states that the two springs (Warm and Cold) were the wives of the same man, they turned into spring water after the rivalry between them resulted in a rift. The ill-tempered wife is believed to have turned to the popular warm spring while the cool-tempered wife turned to cold spring water. The husband is also believed to have turned into the undulating hills that surrounds the springs. Many of the villagers worship the springs as their deities. The point where the two springs meet is a main centre of attraction. The resort situated around the warm spring has various accommodation and recreational facilities suitable for family vacation. Olumo Rock in Abeokuta, Ogun State is one of the most visited tourist attractions in Nigeria. The massive granite outcrop is a natural wonder that served as a hideout and stronghold for the indigenes of Egbaland during a civil war in the 19th century. The rock sheltered many of the war survivors, who were reported hidden in caves located inside the rocks to evade enemy attacks. 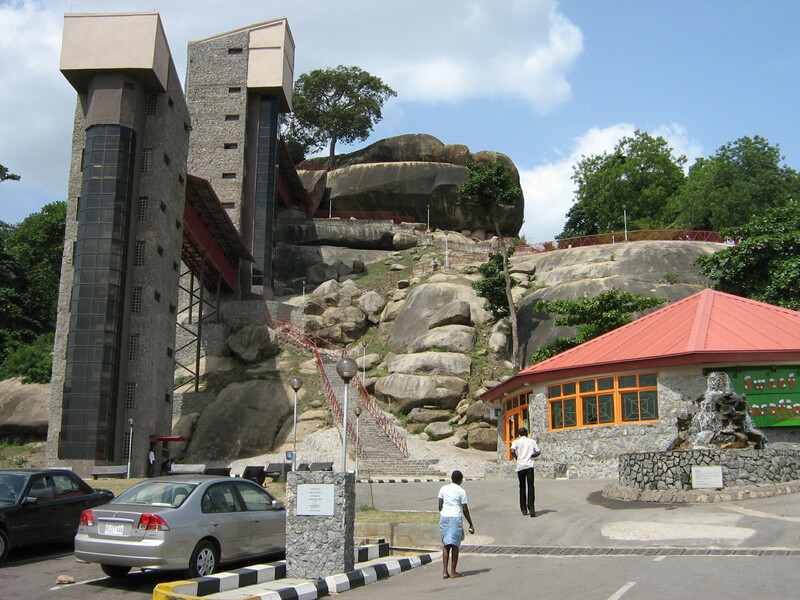 With a modern elevator available for tourists who have a hard time climbing, a relaxation spot at the top of the rock and an aerial view of the city of Abeokuta at its peak, Olumo Rock is definitely one of the best places to visit on next family vacation. Lekki Conservation Centre located in Lekki Peninsula of Eti Osa Local Government in Lagos State is one of the most important conservation sites and wildlife reserve in the country. The Conservation Centre which covers an area of 78 hectares was established to serve as conservation site for Nigeria’s southwest coastal mangrove resources, protect wildlife and a centre for procuring information’s for environmental education and public awareness. 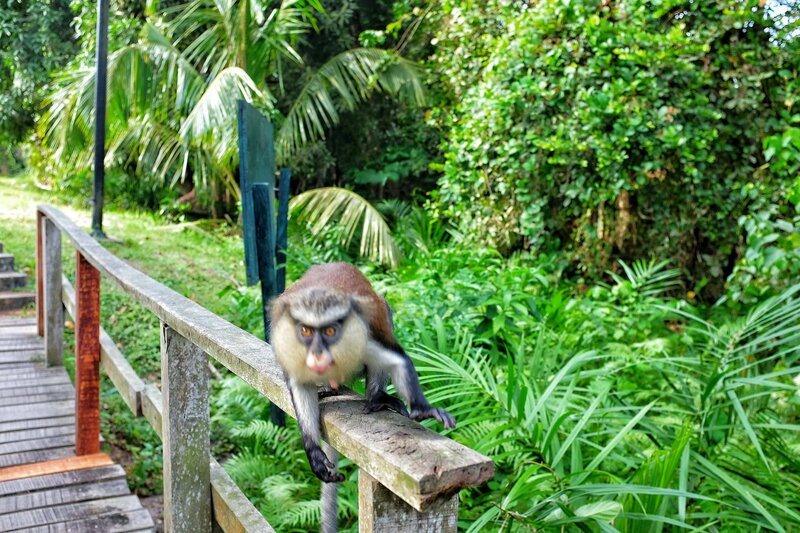 Tourists can view the vast resources of the nature reserve by using the 2 km trail boardwalk or the spectacular 401 metres long Lekki Conservation Centre Canopy Walkway. Attractions along the trail includes a swamp outlook, trees with ladders that enables nature enthusiasts reach up to the tree houses, bird hides for avid bird watchers and rest stop suitable for picnics. Other attraction at the centre include a handful of animals and birds, floor games, a fish pond that contains colourful Koi fishes, a Jungle Gym, Gazebos and beach volleyball courts. A nature station awaits tourists at the end of the trail, it is a recreation facility that lies in the middle of the forest, made up of a semi enclosed block structure for indoor picnics, outdoor game facilities for children and conveniences. It is the ideal vacation spot for nature lovers from around the world. 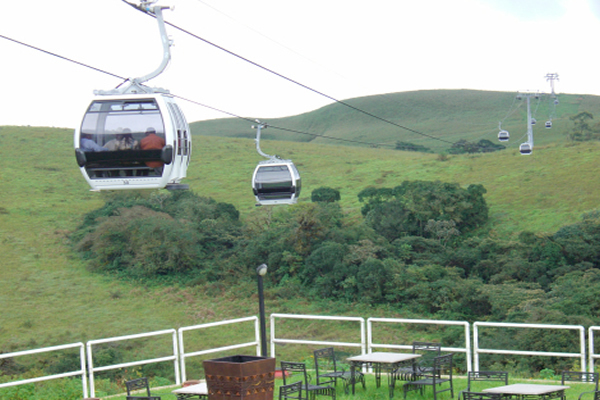 Obudu Cattle Ranch also known as Obudu Mountain Resort is the number one tourist destination in Nigeria at the moment. The beautiful resort lies on the Obudu Plateau close to Cameroon border. With various tourist facilities in place, the resort boasts of both local and international tourists. It is the number one holiday and tourist resort centres in Nigeria. 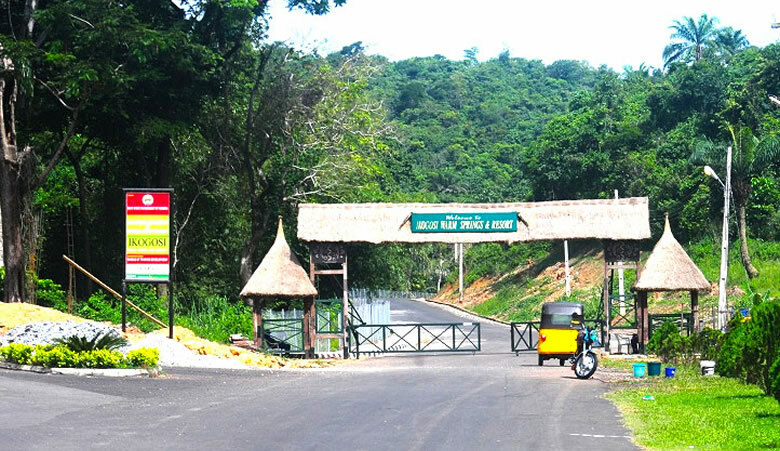 The mountain resort boasts of some of the best luxury accommodation in Calabar close to nature. Written by: Mariam Banwo Barry is a self-motivated, goal oriented individual who is passionate for quality and result. She believe the best way to preserve knowledge is by constantly passing it off to a new generation of individuals who would help shape the future of our society. Hence, the invaluable importance of social media and the web on conserving useful information. A content development and marketing connoisseur who specializes in creating SEO friendly web contents to increase conversion rate.